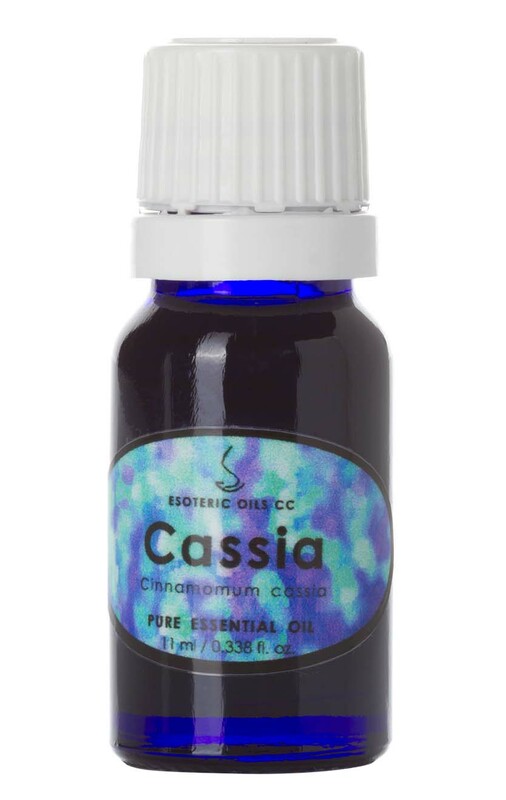 Cassia oil is extracted from Cinnamomum cassia (also known as C. aromaticum and Laurus cassia) of the Lauraceae family. It is also known as false cinnamon and cassia lignea. Although cassia oil can be a skin irritant, it does have some good properties and this warm exotic oil is more than just a fragrant oil, as it can be used in fever, chills and for supporting the digestive system. Cassia oil is extracted from the leaves, bark, twigs and stalks by steam distillation. Cassia as a dried herb can be useful for digestive complaints such as flatulence, colic, dyspepsia, diarrhea and nausea. It can also be used for colds, influenza, fevers, arthritis and rheumatism. Although cassia oil is a dermal irritant, it can be of benefit for arthritis and rheumatism if included in a formula at a very low inclusion rate.